Posts are used in applications where appearance, strength, and durability is desired such as road sign posts, fence posts, and for the construction of decks and foundations. 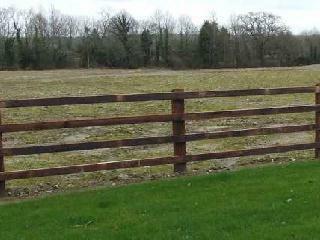 TRAPA’s post grades are typically sold green untreated or can also be treated for added durability. We are able to offer creosote, CCA, ACQ or wolmanized treated products. 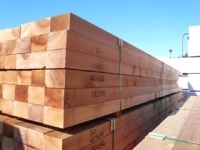 We also provide posts made with naturally durable wood like cedar, cypress, fir, and larch. Landscape timbers are used in applications where structural properties are not as crucial consideration, but uniformity in size and appearance is still required. Landscape timbers are also available treated or untreated. Treating companies, utilities and retailers demand TRAPA’s consistent quality and sizing in our posts and landscape timbers.